You have been saying that we must crash and burn before anything will change for the better long term, because never before in history has a corrupt government willingly given up its power. I wonder though, never before in history, at least to my knowledge (which is very limited compared to your Socrates, so correct me if I am wrong), has a country had a Constitution that had the foresight that our Founding Fathers had. So it would not take an epiphany for our government to get it right again. I think we might be unique in that regard and perhaps there is hope without crashing and burning. ANSWER: If I were to speak from hope rather than experience, I would agree with you. But the reality is I have studied constitutional law very intensely. There is nothing that the Founders did that has been retained. We have no ability to even bring a suit against the government, they have to give you permission first. I would attack the whole thing under civil rights, but that gets as far as the prejudice of the judge. It’s a dirty word they call “discretion” to violate your rights. Take the Freedom of Speech. Under the Constitution’s Supremacy Clause, Article Six, Clause 2 establishes the U.S. Constitution, federal statutes, and U.S. treaties as “the supreme law of the land”. It provides that these are the highest form of law in the U.S. legal system, and mandates that all state judges must follow federal law when a conflict arises between federal law and either the state constitution or state law of any state. This was the secret federalization of the USA. This is how the Feds broke up the segregation in the South. They said that no state could pass a law against the Feds using the Supremacy Clause. Hence, the Civil Rights enforcement during the 1960s was orchestrated this way. The Feds write a law that supersede whatever the state desires. Therein will ultimately be the breakup of the Federal government because of this clause. Now for the hypocrisy. Government is able to arrest anyone who protests to exert their First Amendment Freedom of Speech that they disagree with. They simply arrest you for walking on the grass as they did with Coxley or failing to have a permit – NEVER for expressing your opinion. OMG. There is the First Amendment. They get to arrest you for some other violation not because of what you say. 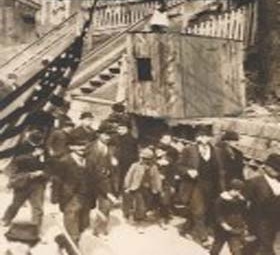 Every single protest has been broken up this way since the late 1890s. The Feds justified sending in tanks in 1932 to kill Veterans in the Bonus Army calling them “criminals” and communists simply because they asked for what had been promised. Yet, call someone a criminal and you then justify killing them. 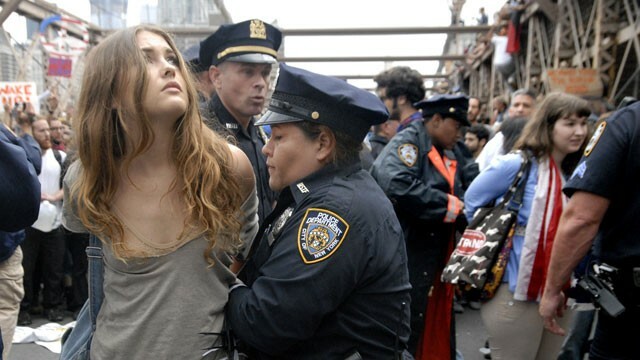 Those who protest against the Income Tax go to jail all the time because they try to argue that the tax is supposed to be voluntary. The tax protesters do not pay and argue they should have that right. This is why you have to break everything down very carefully whether it is taxes, the concept of inflation or the definition of political systems. Yes – the income tax is voluntary. However, filing is not! You MUST file an income tax return and TELL them what you owe. They CANNOT imprison you for not paying, it is FAILURE TO FILE. 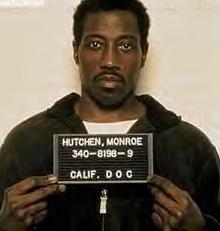 Wesley Snipes was sent to prison after being convicted of three misdemeanor counts back in 2008 for failing to file tax returns from 1999-2001. It was not the failure to pay, that would be unconstitutional. It was the failure to file. Unfortunately, the Constitution is way too malleable in the hands of government appointed judges for life. It is a joke that we have even a Tripartite government. Presidents claim EXECUTIVE PRIVILEGE and then claim the power for “signing statements” where they can simply instruct their own Executive Department not to enforce this law. That is plainly UNCONSTITUTIONAL for it circumvents the pretended legislative branch. The EU Commission need not obey the Parliament – well guess what – the President can do the same. They also have claimed the right to issue dictatorial decrees without Congress called – Executive Orders. 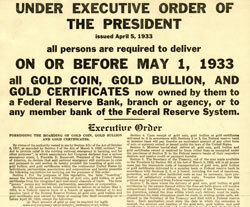 Hello – Roosevelt’s confiscation of gold was an Executive Order – not legislation passed by the people. The Justice Department has come out and stated it will NOT ENFORCE the drug laws against states legalizing marijuana. Constitutionally, Congress should do that. Law enforcement is the “discretion” of the President’s Executive Branch. That is the real story – the Constitution has been circumvented in every way possible reducing it to just a nice piece of scrap paper. Local governments need money and are setting up road-blocks during the day and check to see if you have all your papers. If not, you are sent to a line for tickets. Sure that is unconstitutional violating the Fourth Amendment lacking probable cause. You can hire a lawyer and fight, but that will cost you $250,000 with appeals. They win – you lose. The Constitution is negative, not positive. Hence, it is “self-restraining” meaning it is ALWAYS your burden to prove you have any rights at all. The latest trick at the local level to raise revenue is legal blackmail. They give you a ticket for speeding or some other moving violation that goes on your record and causes your insurance to rise for years. That violation may only be a fine of say $200 and your insurance cost will be perhaps in the thousands for several years. You go to court. What do they do now? To avoid the points and save you that money for insurance, they will change the ticket in a plea deal provided you pay the court $700. Every drug dealer I ever met who was arrested with a bunch of cash goes to court and finds that the reported cash he had is on average 50%. He then realized they are pocketing the money and gets mad. His court appointed lawyer tells him to shut-up for if there is more money there is more drugs and more time. The drug laws make those in enforcement very rich. Welcome to the real – We the People.